How do you make a Virgo symbol astrology charm? How about oven-bake polymer clay! ...When I was in grade-school, my mom bought me several blocks of oven-bake polymer clay... a.k.a. Skulpey. I fell in love with it and used it to make creative gifts for just about everybody I knew. There's so many possibilities for using polymer clay to create neat things. 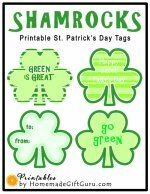 For example, you can make awesome clay beads, key chains, ornaments and creative charms. In this tutorial, I'll show you how to use oven bake clay to create a unique astrology charm, featuring the Virgo symbol. Being creative with clay comes easy to kids and teenagers... and let's not forget the young at heart! For this reason, I think polymer clay is a great homemade gift medium and I especially try to provide it for my kids to make cool stuff for their friends. 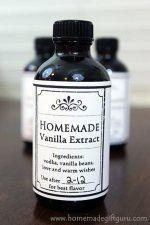 ...For more teenager-friendly homemade gift ideas, feel free to check out this article on homemade teen gifts and gift ideas for the young at heart. 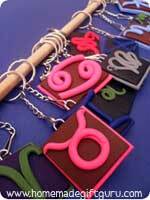 These clay charms can be made into fun homemade magnets, cute homemade key chains or even rear view mirror charms. Key chains and rear view mirror charms in particular would be a great idea for a homemade sweet 16 birthday gift. 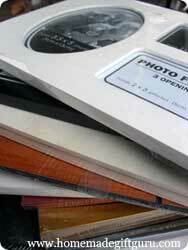 You could also use this idea to personalize a photo frame or a birthday plaque with an astrology theme. So... 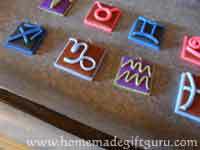 If you know someone who enjoys astrology, a personalized clay astrology charm might be the perfect thoughtful homemade gift just for them. For more sun signs, including dates and astrology templates, click here. Note: People born within a day or two of any sign are "on the cusp." This means they could be either sign. For those on the cusp, you can plug in the birth date and year here to determine the correct sun sign (or just ask them, a lot of people know their sign). Get more sun sign facts and FREE printable astrology symbol templates here! One of the things that's awesome about oven bake polymer clay, is that you don't need a lot of tools or special equipment to work with it. ...A simple straight edge glass for rolling plus a knife and a toothpick for example, will get you going on all kinds of fun polymer clay projects. You can tape a piece of wax paper to your work surface to keep it clean. Your polymer clay will be hard and slightly brittle at first. To soften it, break it up into 3 or 4 pieces and warm it in your hands. Start kneading and twisting the clay. As the clay gets softer, start rolling it into snake like lengths, squish and press back together, roll into ball and repeat until clay is soft, smooth and even. Tip... If needed, wipe hands with cloth or baby wipe between conditioning different colors. 3. Roll Out Two Pieces of Clay for the Base of the Charm. Do this however you like. 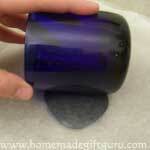 One way is to put a ball of clay between two layers of wax paper and use a straight edged glass to roll it flat. Pick up the disk a couple times to prevent sticking. Tip... 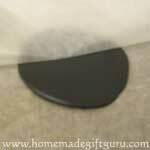 It's a good idea to wipe your work surface with a lint free clean cloth between rolling different colors. 4. Cut Clay into Squares - One Slightly Larger than the Other. Using a knife or other straight edge tool, cut a square or rectangle from the color you plan to use on top. Lay this on top of the uncut disc. Now you can easily cut the other color slightly larger then the first (as shown below). 5. Snip the End off a Paper Clip. If you want to turn your charm into a key chain, an ornament or a rear view mirror charm, you might want to make a hook on top. A paper clip works great for this. 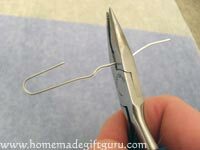 To create a hook using a paper clip, first open the paper clip and cut off the end as shown. Next, sandwich the paper clip between the two base pieces, allowing just the hook to stick out. Press down gently to stick. 7. Create a Long Clay Coil. To make this Virgo astrology symbol, take a ball of clay (in the color you chose for the symbol) and roll it out evenly into one long slender snake-like coil. You will be using this coil to "draw" the Virgo symbol. 8. Create the Virgo Symbol. 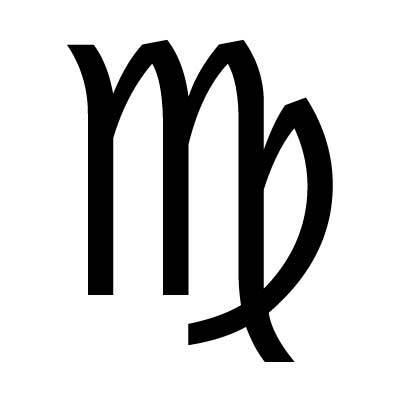 The Virgo symbol reminds me of a fancy letter "M". To make this symbol, make sure you have a long even coil, capable of "drawing" out the Virgo sign in one continuous stretch. 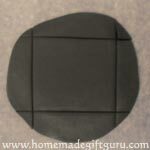 Create the Virgo symbol, stretching and molding the clay as needed. Remember, you are the artist! Play with and adjust the symbol as much as you like, until it looks the way you want it to. Once the symbol is positioned to your liking, press down gently to stick, taking care not to flatten or leave finger prints. Tip... The clay is sticky so you don't have to press much for it to stick together. Bake clay on parchment lined baking sheet in oven at the temperature and time specified on manufacture's instructions. For the Sculpey III used here, the pieces were baked at 275° F (130° C) for 15 minutes. Would You Like to Make Another Astrology Symbol? 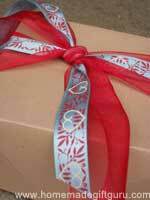 Learn how to make an origami gift box for this project! To turn your Zodiac charm into a magnet, leave out the paper clip and once baked, glue a magnet to the back or attach self sticking magnet strips. 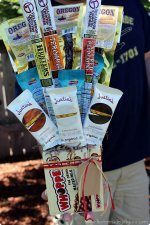 These make great homemade birthday gift ideas, homemade teen gifts, homemade boyfriend gift ideas or girlfriend gift ideas and homemade graduation gifts for friends. Use whatever colors you like. Package your astrology themed homemade gifts in cute origami gift boxes for a fun and unique gift presentation (shown to the right)! These origami gift boxes are fun and easy to make... plus they are PERFECT for giving unique homemade gifts!